Below you will find our library of books, available in eBook and Paperback format. For more information about each book, or to view or leave comments about each item, simply click the title link or book cover. 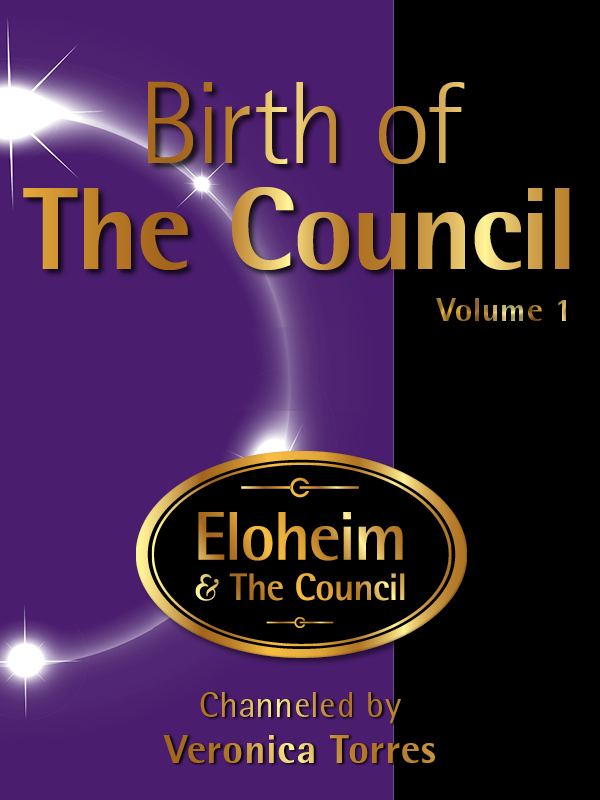 Our latest book is Birth of The Council, Vol. 7. Start reading any of these eBooks on your Kindle in under a minute. Don't have a Kindle? Download a FREE Kindle Reading App for your PC, Mac, iPhone or Android device. NOW AVAILABLE!!! Choice for Consciousness, Tools for Conscious Living, Vol. 3 ebook You are changing. Your awareness of your inner self is deepening. Your relationships are shifting. How do you navigate these changes? How do you find clarity? How do you interact with others when you are getting to know yourself anew? 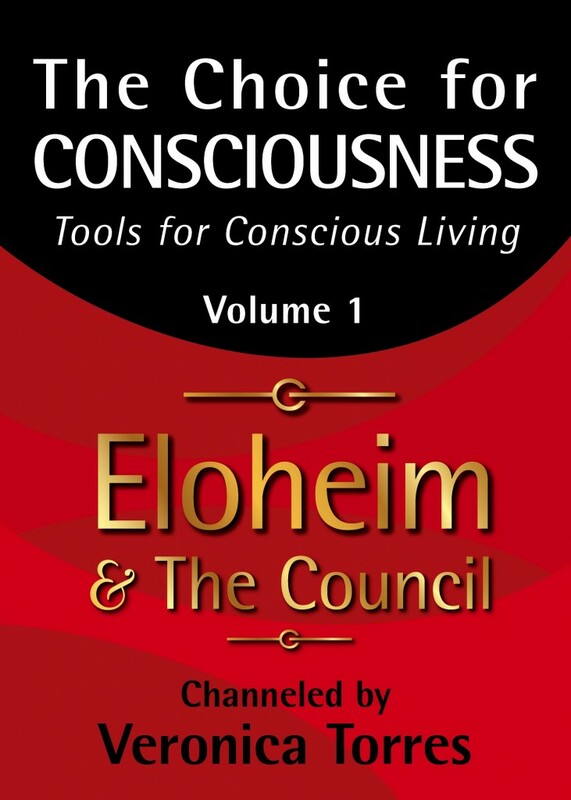 Eloheim has 15 tools specifically designed to help you do this and more. 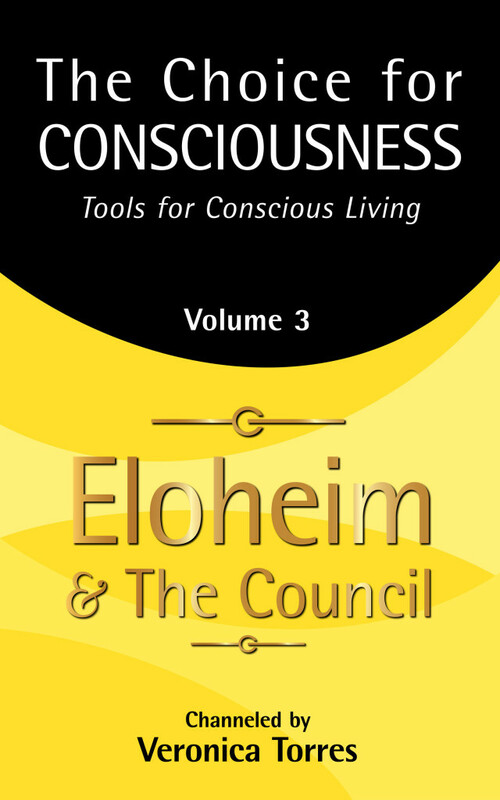 The tools fall into four categories: • Readiness for change • Managing your energy • Seeing things a new way • New relationship to money The book begins with Eloheim explaining foundational concepts that will prepare you for using the tools in your day-to-day life. The last section of the book is an index of terms and concepts to further support you on your path of self-discovery. Remember that you don’t have to have it all figured out before you begin, you don’t need to know the end before you start. Step-by-step is the only way anything ever gets done! Are you “drained from doing too much”? Are you trying to answer the question, “What am I here to do?” Do you feel trapped and confused by your life? Are you wondering how you can take care of yourself AND meet your responsibilities? Kay was feeling the same way when she contacted Eloheim for a private session. Eloheim’s answers to Kay’s inquiries are so powerful and apply to so many different life situations, I knew before the session was even over that they had to be offered in book form. Navigating money challenges can often feel like it’s two steps forward and 1.99999 steps back. It’s about time for THAT to change! This book offers new insights into the underlying issues that affect your relationship with money, and thus your relationship with yourself and others. It’s designed to show you why money challenges you, and offers you straightforward, easy-to-use tools to come to a conscious, healthy relationship with abundance. Subjects covered: The built-in properties of money, “equal signs” about money, the Law of Attraction and how it’s really a Law of Magnetism, the beliefs that cause us to push money away, does money really “Make us safe?,” new insights into our perspectives on “rich people,” guilt and triggers about having more money than others, how to steward the funds we have, charging for work that others feel should be free, and much more! Included: Nine tools to shift your relationship to money and 67 definitions of terms and concepts. Let go of habit, repetitive thinking, reliving the past, speculating about the future, and being paralyzed by the fear of change. Live consciously to experience being human in a brand new way. This book contains simple but powerful tools that will help you make the shift from the fear-based operating system (survival) to consciousness-based living (fascination). The tools can be used throughout your spiritual journey. They require no props, no rituals, no religious beliefs, and can be easily incorporated into your day-to-day activities. In addition, they build on each other and can be used in powerful combinations that will rapidly transform your experience. Through the act of loving yourself, you give the gift of the truth of you to this world. The most powerful way you can be in the world is by loving yourself well and then living your life from that place. The question is: how do you do that? How do you love yourself when faced with overwhelming responsibilities, guilt, and feeling like the world is stacked against you? You love yourself well when you make the choice for consciousness. Consciousness changes the way you view yourself and the way you view your life. "This entire story is to help you know who you are." 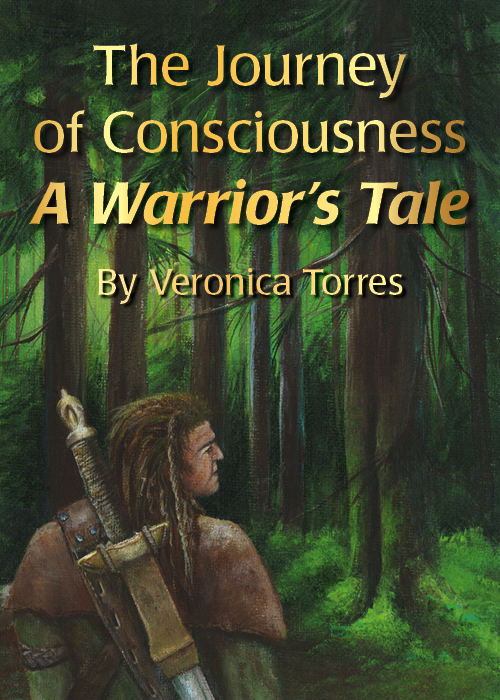 Follow the Warrior's journey as he encounters castles and kings, battles and beasties, while learning to live from an open heart. The Warrior explains how to live the truth of you, how to have a healthy relationship to authority figures, and how to be vulnerable and strong at the same time. "Anything that is presenting itself to you is presenting itself to you for growth." 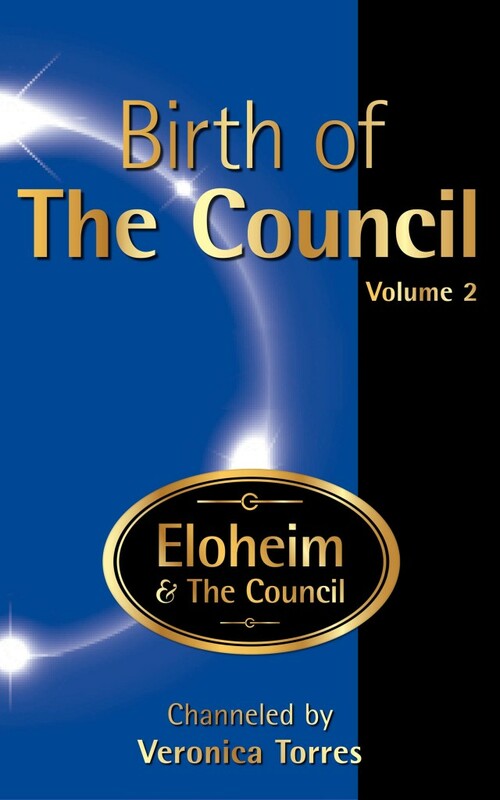 Volume TWO of the Birth of The Council series includes transcripts of EIGHT Eloheim and The Council channeling sessions held between August 5, 2009 and September 23, 2009. 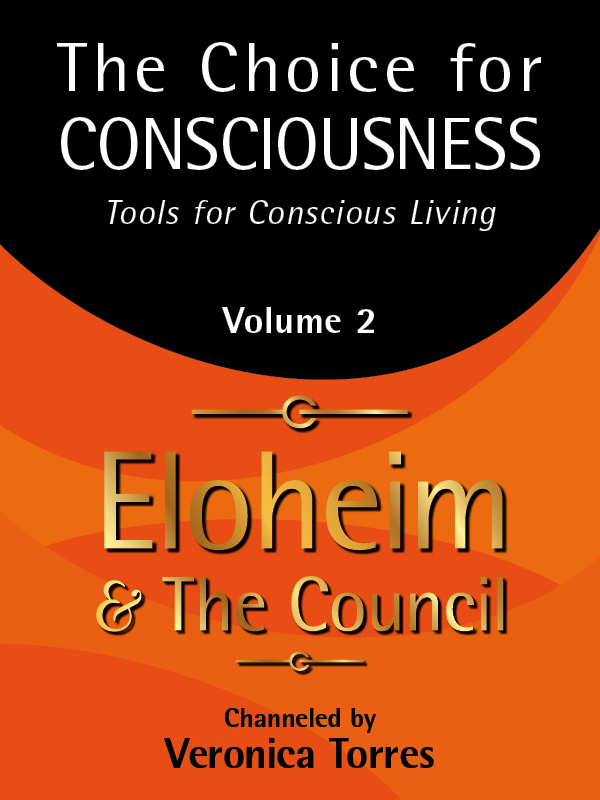 The focus of VOLUME TWO is: An overview of Eloheim's teachings; a detailed discussion of the difference between judgment and preferences; and an exploration of the inquiry, will you say, "yes" or will you say, "habit." A reminder that when the consciousness-based operating system is in place, the body is built for bliss. When the fear-based operating system is in place, the body is built for paranoia. Embrace the statement: "I am complete, yet I seek, and I am patient with me in the process." Volume THREE of the Birth of The Council series includes transcripts of EIGHT Eloheim and The Council channeling sessions held between September 30, 2009 and November 18, 2009. These eight sessions are a cornerstone in The Council's teachings. The focus of VOLUME THREE is: How do you know when you're living your potential? You know you're living your potential when the truth of you is all you experience. 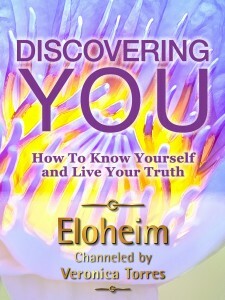 This volume includes deep instruction on how to uncover what is keeping you from living as your complete self. Your external world is a reflection of your internal journey; your internal journey is the creation point. Becoming conscious of your internal journey can help you transform your life. Volume FOUR of the Birth of The Council series includes transcripts of EIGHT Eloheim and The Council channeling sessions held between November 25, 2009 and January 13, 2010. The focus of VOLUME FOUR is: Where are you lying to yourself? Sometimes it's hard to be graceful in living the truth of you, but it is something that you will learn with practice. Start by saying, "Even when I'm triggered, I can still tell my truth." 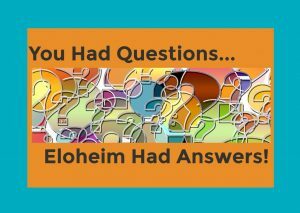 Eloheim poses these four questions and discusses what the answers reveal: * What single subject most often takes you out of the moment? * Currently, what is your greatest fear? * What one thing would you change about your body? * What aspect of your financial situation concerns you the most? Volume FIVE of the Birth of The Council series includes transcripts of EIGHT Eloheim and The Council channeling sessions held between January 20, 2010 and March 10, 2010. You're here to emanate your complete ensouled self as a gift to all. Let go of preconceived notions and future projections; bring your presence to the present. Keep in mind that other people are simply reflections of your internal experiences. Your inner truth is externalized, not the other way around. A lot of times, it's the discomfort that you notice. Remember to pay attention to aspects that reflect your transformed life. Ask, "What am I trying to be certain about?" The answer will help you see where you are in limitation and where you are ready to open to insight from your soul. 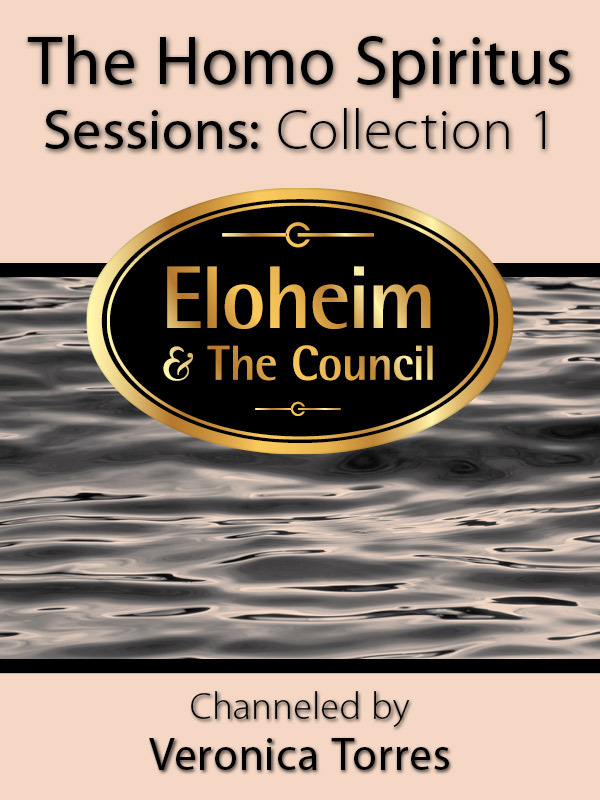 Volume SIX of the Birth of The Council series includes transcripts of SEVEN Eloheim and The Council channeling sessions held between March 17, 2010 and May 5, 2010. This volume teaches us how to become comfortable and thrive while acknowledging that we will always have questions. We are not here to discover a final answer; we are here to explore the question, “Who am I?” We can reduce suffering by shifting away from: “Will I ever get there?” to: “I am there, and I just need to reveal the truth of me.” We can do this by asking ourselves: “What does this really tell me about me, what does this really show me about me, what is this illuminating about me?” If you find yourself triggered by what this exploration reveals, remember that triggers are an opportunity for you to better know yourself. 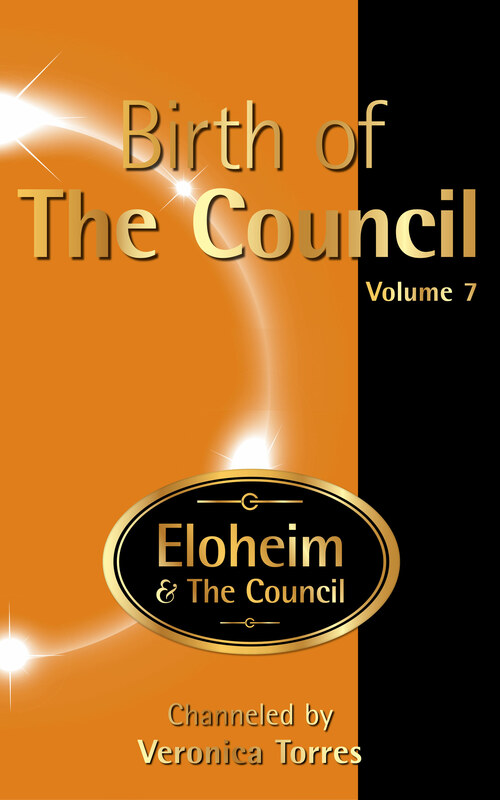 Volume SEVEN of the Birth of The Council series includes transcripts of EIGHT Eloheim and The Council channeling sessions held between May 12, 2010 and June 30, 2010. True transformation requires the courage to face what is actually present. This allows you to work through your shadow areas and be open to the moment without obsessive thinking. In this volume, The Council offers us a new relationship to the experiences we have created. “You must say yes to your creations. Saying yes does not mean you want it to continue, it means that you acknowledge your creatorship. When you say yes to your creations, be sure to be kind to your body and acknowledge that what it feels is valid.” They walk us through an examination of where we lie to ourselves, and how to transform those places we fear or are ashamed of. “If you want to have transformation in your life, you have to deeply say ‘Yes’ to what the current truth of you is.” They provide a reminder that it will be very challenging to love your complete self if you can’t learn to love the parts that you don’t like. 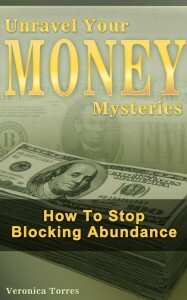 They also explore fresh perspectives on money and abundance. This volume is FULL of powerful ideas expressed in a humorous, supportive, and loving manner. The final book in the series completes The Council and launches us into the Homo spiritus sessions. Each of the Homo Spiritus Sessions books can stand alone, but taken together will allow the reader to follow along with the progression of the teachings including the introduction, in-depth explanation, and evolution of The Council's tools. Collection one contains The Homo Spiritus Sessions, volumes 1-8 which are also available individually. 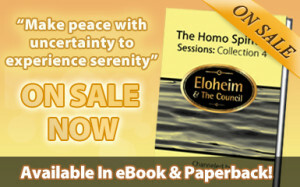 COLLECTION ONE of the Homo Spiritus Sessions includes the transcripts of EIGHT Eloheim and The Council channeling sessions held between July 7, 2010 and August 25, 2010. The focus of COLLECTION ONE is: It's not WHY is this happening? It's WOW this is happening! Experiences are here to facilitate growth, expansion, and transformation. Nothing happens TO you, it all happens FOR you. 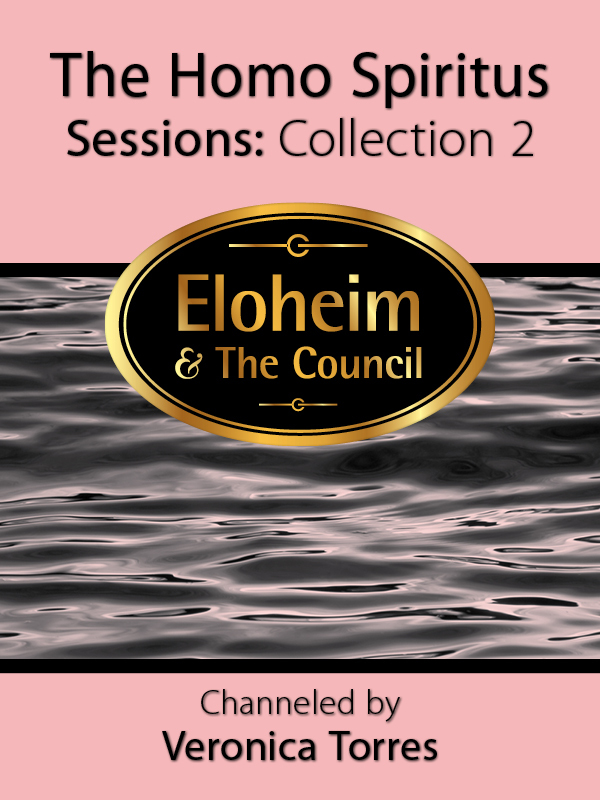 COLLECTION TWO of the Homo Spiritus Sessions includes transcripts of EIGHT Eloheim and The Council channeling sessions held between September 1, 2010 and October 20, 2010. The focus of COLLECTION TWO is: You can't say no to the truth of you because it makes other people uncomfortable. Contemplation of your inner self emanates your truth. Take the time and make the effort to find things to love about yourself, no matter how mundane they may seem. Your soul cannot access the places where you don't love yourself. Only compare you to you. Find even the smallest measurable amount that feels like progress. 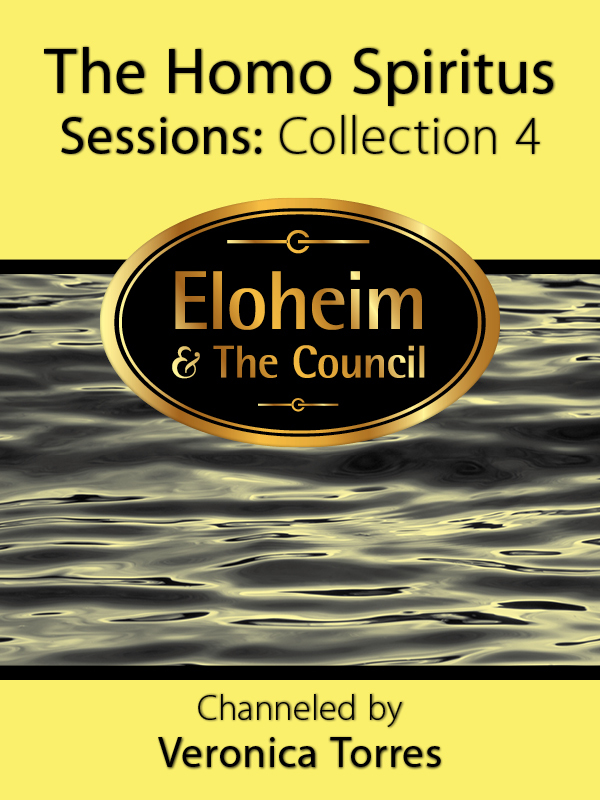 COLLECTION THREE of the Homo Spiritus Sessions includes transcripts of EIGHT Eloheim and The Council channeling sessions held between October 27, 2010 and December 15, 2010. The focus of COLLECTION THREE is: The focus of the spiritual journey is, "I want healing above all else." The path of healing includes learning how to be comfortable in "I don't know." It's very rare to abide in "I don't know" comfortably, yet that is the place where all revelation occurs. Until you decide you don't know it all, there's nothing more you can learn. Look for the places where you want to hide from your truth. COLLECTION FOUR of The Homo Spiritus Sessions includes transcripts of EIGHT Eloheim and The Council channeling sessions held between December 22, 2010 and February 9, 2011. The focus of COLLECTION FOUR is: Being uncertain is your nature. Striving for certainty leads you to be mean to yourself. Whenever you want certainty, you're setting yourself up to fail. Your soul wants to experience everything there is to experience, living in fear and always striving for safety closes you to many experiences. Make peace with uncertainty to experience serenity.